A not so great shot of my army. The day after these big events I feel like I’m hung over. It’s well worth it though. The day was awesome. It began at 9am with entry into the Bronze Spawn, the painting competition, and by the time I managed to pack up and head out it was 9:45pm. The event it itself wrapped up right around 9pm but some of us just hung out to talk and try to find the motivation to pack our stuff up. This will be less about the games and more about the day because I feel the event itself deserves recognition. You can play games anywhere at any time but to play in such a cool event like this is far more rare I feel. 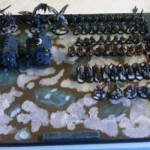 Speaking of, for those unfamiliar, the Standish Standoff is a 40-player Warhammer 40K tournament held at Crossroad Games in Standish, Maine. It’s a more hobby focused event and you’re scored on: battle points, army composition, sportsmanship, painting and the pub quiz. The tournament is held in Standish, ME and it’s done annually in November. 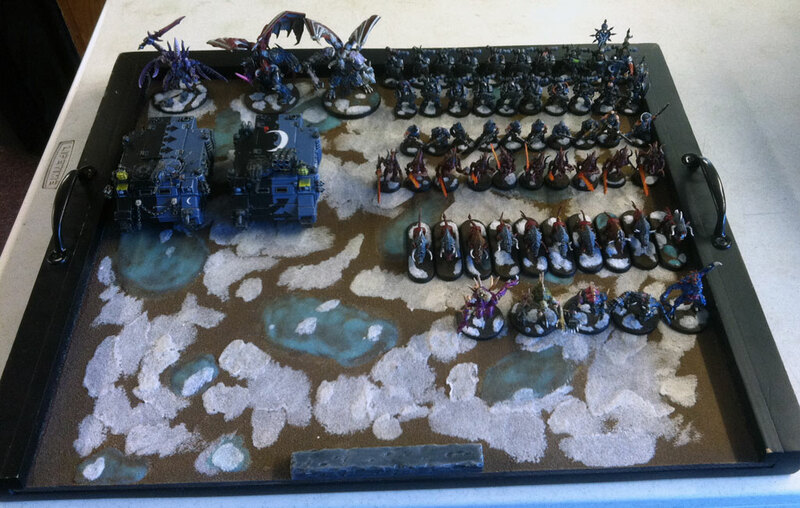 Another angle of my army. 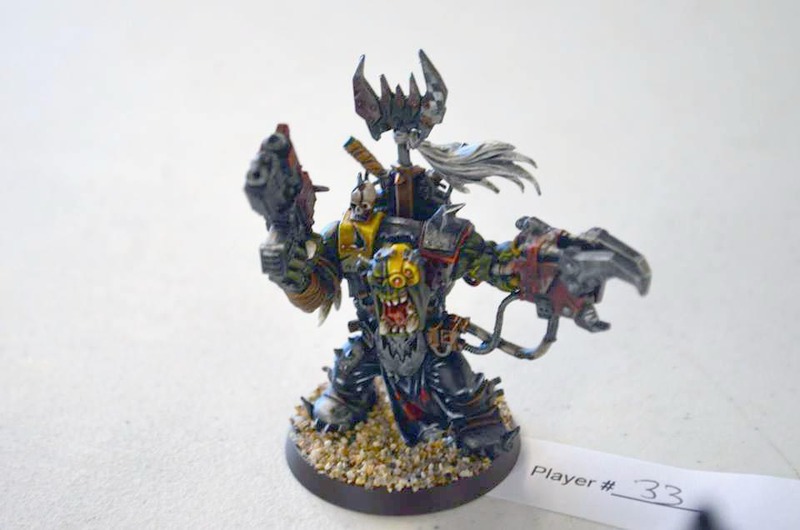 As noted, the doors opened at 9am and you could enter models into the Bronze Spawn painting competition. The painting competition was a separate thing from the gaming itself; basically our version of a Golden Daemon. You can enter any models you have, not just from what you’re playing that day. We had six categories: best 25mm, best 40mm, best 60mm, best vehicle/monstrous (no base or bigger base than 60mm), best squad (5 model minimum), and best diorama or conversion. There was about an hour could walk around and check out the submissions and then the judges took an hour to judge the entries. While the entries were being judged we were given a 20 question pub quiz. The points from the quiz went into your points for the day so it’s not only a cool thing to do, it had value. Every year the quiz is tough and this year more-so than previous I thought. I think I managed to get 3-4 right out of 20 and I consider myself well versed in 40K lore/fluff/stuff. Speaking of, and before I lose attention in this slightly long post, here’s some pictures of armies I took walking around. Next it was on to the player meeting to cover the event and clear up any questions. From there we got pairings and headed into round #1. Speaking of, I played Warren and his White Scars first round. The game was a slug-fest but Warren’s ability to hit & run and get great rolls on that distance pulled him ahead for a 22-11 victory. It came down to the final turn really. The only reason I even managed to score 11 was due to my 2 Cultists killing off a single Biker that charged them. By virtue they got to keep holding the objective they were on, otherwise Warren would have taken this with about 32 – 1. Go Cultists! My Daemon Prince taking on a ton of Boyz. After the first round we had lunch in the form of pizza. You can’t go wrong with pizza. Then it was on to round #2. I got to play Dylan, one of the guys from the Dorkamorka club in Watertown, MA. We basically each rolled down opposite flanks crushing one another; me with my Princes and Keeper and him with a Warboss leading Meganobz and another squad of Nobz. I managed one more kill point than him and there were other ways to get points but my brain is shot, but I took a 25 – 9 victory. Insane combat with six units. I lost this combat horribly. The final round had me playing a Chaos Marines zombie list. The list has something like 120 Cultist Zombies plus other goodies, putting the total body count around 135 models. I just could not handle that many bodies at all. My list is a bit more elite assault based and this was horde assault based and quantity is a quality all its own. I took a loss here of 30 – 4. The trophies to be won for the day. Last up was the awards. I won’t run through everything here, it’s a HUGE list, but I will tell you that, off the top of my head, there was over 30 prizes/awards to be won. Painting offered 1st and 2nd in each category and also two honorable mentions in each category and all awarded something. You had the big winners for the day with the big trophies and with those trophies came prize support and entrance into our spring event, Fratris Salutem, for free. There were some random draw prizes, pub quiz prize and more I’m probably forgetting. You get the idea though, a big list. Basically all the money paid in entrances went into prize support less the cost of the event (t-shirts, dice, food, etc.). When you have 40 players paying $35 to get in it makes for some great prize support. I did walk away with three awards for painting. I was best 25mm model, best 40mm model and 2nd place for diorama/converted model. I did get 2 honorable mentions: squad category and vehicle/monstrous category and each honorable mention was $10 in store credit, so $20. I will let the other authors here cover their awards but as a whole Creative Twilight did well in the painting competition. As for my day regarding points, I did alright. My games weren’t great points-wise, though fun game in themselves. I ended up with 40 battle points out of roughly 100, putting me at #25 for that. I won’t break down each soft score but this is the area I do well. In soft scores I got 165 points out of roughly 185 points. For soft scores only I ranked #9 so I’m very happy with that. In overall, with battle points + soft scores, I managed #19. I can live with that especially where my battle points weren’t great for the day, which goes to show you how much value we put on those soft scores. In conclusion, another great year for the Standish Standoff. It’s the most looked forward to event in the area each year. This year was our first year pushing it to 40 players and it sold out, which is amazing. Let’s be honest, we’re holding this in the backwoods of Maine and selling out a 40 person 40K event, that’s pretty damn good. It’s awesome seeing the Dorkamorka club driving up from Massachusetts, we also have players from New Hampshire who come and players from all parts of Maine. Lastly, thanks for the judges for organizing and running the event. Each year our local players volunteer to do this. We aim to have players take turns and rotate so it’s not the same guys each time and they never get to play. Having done this once myself for Fratris I know it’s a lot of work and often a lot of thankless work. It’s because of those volunteers that we get to do this each year so thanks. Also, if you want to check out the photo-dump of shots for the day, head here. It did go pretty smoothly. I have a bunch of ideas for next year to hopefully make things even quicker. The end of the day data entry and compiling took way too long with 40 players. I also think we should go to a Painting competition in a secure location(Judges Station) and just have folks submit models they aren’t playing with. We’ll get a few gripes but no more than we get now IMO. It will also eliminate folks just throwing down stuff they have for the hell of it. Entries will be just like Golden Demon only not all weekend long. For the sake of speed I would be fine with entering in stuff you’re not using. 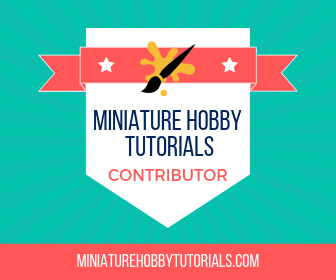 I say we give people 10-15 minutes to submit entries and check them out and let the judging happen while we’re gaming or eating lunch. As it is I think it eats up an hour easily, often more. Having been a judge I feel the side by side time was really important when things get really close. Having to look at models one at a time and then go find the others would have been tough for me(short term memory in the old age you know). I guess it depends on what caliber of painting competition we want this to be. If it has gotten as good as it gets then we might be fine. If the quality continues to get better judges will need even more time to scrutinize more detailed models and even closer entries. Ultimately it will need to be done with models not being played with. Agreed. If we’re entering models we aren’t playing with then judging can happen whenever. In addition, if we move the pub quiz to lunch then we can shave off some serious time. Basically, show up, unpack, enter into the Bronze Spawn, get paired and have at it instead of showing up at 9am and not starting until 11am. Looks like an awesome event. sorry i couldn’t attend! and aside from the awesome looking models, i really like the trophies, especially the purity seals! those are just plain cool. The purity seals are pretty awesome. Steve/Hippie makes all the trophies/awards for the event and they’re amazing. Start planning for next November and come on over :) I know you’ve said, but where are you at again? Gotcha. How long you been in the Navy? I just don’t want to type my email address in here for spammers but once you use the contact form I can direct reply and we can iron out the details. I’ve never served but my father in-law was in the Navy many years ago. I’ve been in 9 years total thus far. Four enlisted, five officer. Not sure if I’ll stick out the full twenty or not. Taking it one duty station at a time. That’s pretty fantastic for such a small tourney (not to be insulting–as our tournies are generally in the 10-20 people ballpark). Looks like it was a lot of fun, and likely almost worth the three months of fanfaire this site has given it thus far. Congrats on your winnings–though I couldn’t tell which models actually won which prizes? It doesn’t seem like your dragon or prince won anything, but they both are pretty sharp looking. I didn’t put up shots of my trophies, just all trophies, I was lazy. You are correct, the Prince and Drake did not win prizes. The Drake got an honorable mention though. The Warboss won, Fate Lord Monthu (dude in jump pack), and my un-pictured (that’s a real word, right? 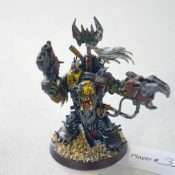 :P) Captain from my loyalist Marines. It was a lot of fun. For us in the woods here, this event is like what one of those big GTs are to others. Being in Maine, same for you but worse in Alaska, you don’t get easy access to those big national events that all those other bloggers constantly talk about. It’s not easy to just head to Chicago or Texas. So, the Standoff is that event we all look forward to each year. There’s a ton of prizes and nobody walks away empty handed at the end of the day. I find myself mildly envious. I wish we had something like that–though I find myself lacking the drive to really pursue something like that. I guess if I ever move to Maine, I know what to look forward to though. P.S. 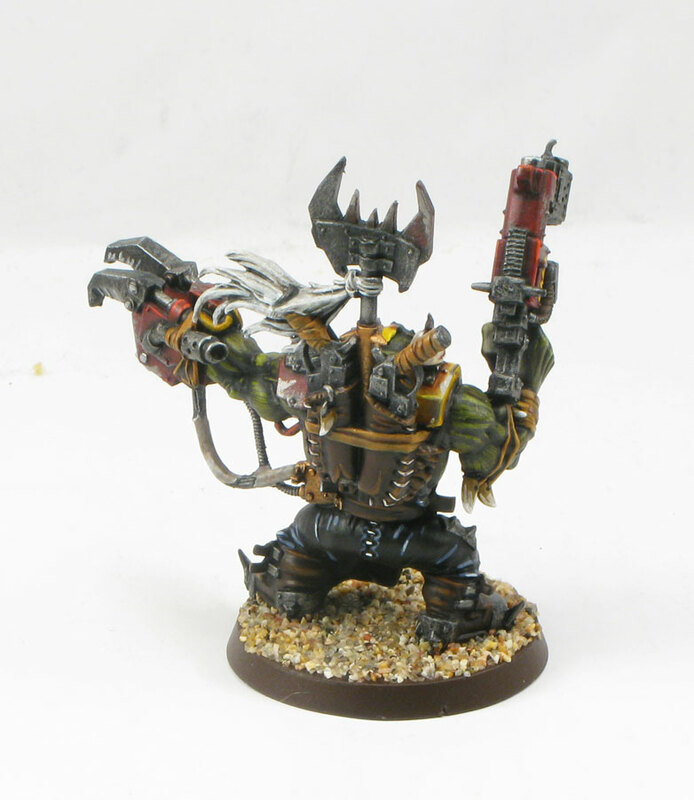 Do you have any more pictures of that warboss? He doesn’t look bad, but not exactly up to your standard. I’m guessing the photograph simply doesn’t do him justice. Lord Mbungu looks great though. Ug, didn’t realize how bad that shot was when enlarged. 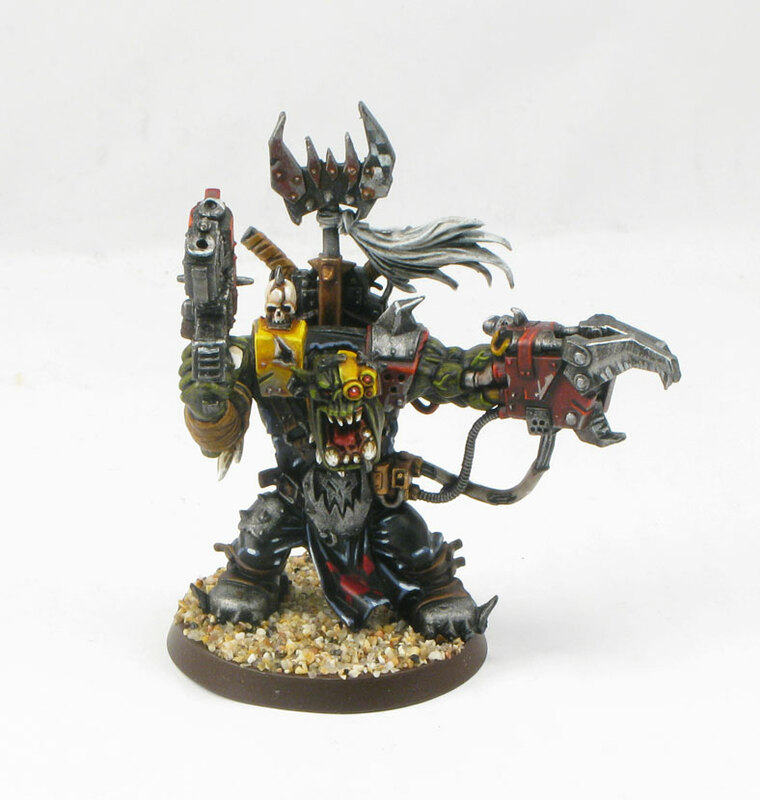 Here’s 2 more shots from a few years ago when I painted him.